The Trestle table base was designed for a client in San Francisco to pair with a built-in alcove bench. 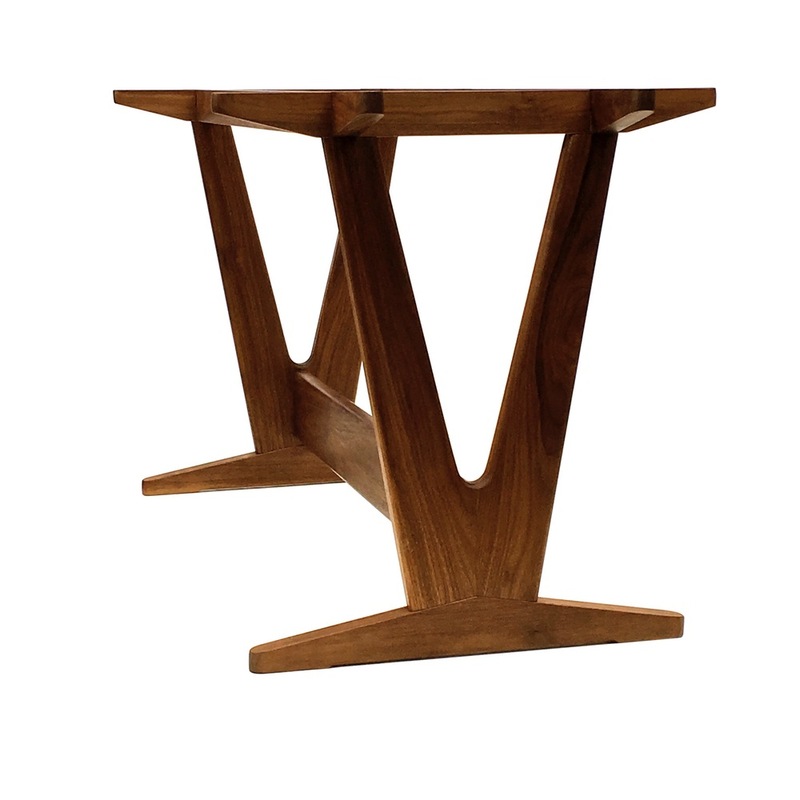 The solid walnut base presents a contemporary take on a traditional style. This base can be shipped and set up with light and simple assembly by the client. The table base is solid walnut with a hand rubbed oil finish. Dimensions shown are 60"w x 30"d x 30"h. This table can be modified for a custom fit. With all table bases, clients source and procure the marble or stone top separately, according to exact drawings Mark provides.